• Lock in the Moisture: Applying moisturizer to damp skin immediately after a shower or bath allows skin to seal in the moisturizer. Choose a moisturizer that’s effective and safe for sensitive skin, and free of potentially irritating fragrances or dyes. • Guard Against Harsh Chemicals: Exposure to chemicals and detergents in household cleaning products can take a toll on hands and dry out and irritate sensitive skin. Look for gloves that are designed to keep hands looking their best. “Playtex Living Gloves have multiple layers of neoprene to provide superior protection, versus ordinary latex gloves, from the harsh chemicals found in common household cleaning products,” says Joe Hourihan, a vice president of research and development at Playtex Products, Inc. Get into the habit of wearing gloves every time you clean. • Fight Bacteria and Germs: Hourihan says Playtex Living Gloves have Ultra-Fresh anti-microbial protection to inhibit the growth of odor-causing bacteria, mold and mildew. The gloves also provide excellent hot-water protection. • Protect Your Manicure: Your hands are your ultimate accessory and you’ll want them to look good in any season. Wearing gloves whenever you’re cleaning will help your manicures last longer and keep your nails from becoming brittle. • Take Your Hands to the Spa: Warm a cup of milk in the microwave for 30 seconds (or until warm but comfortable to the touch). 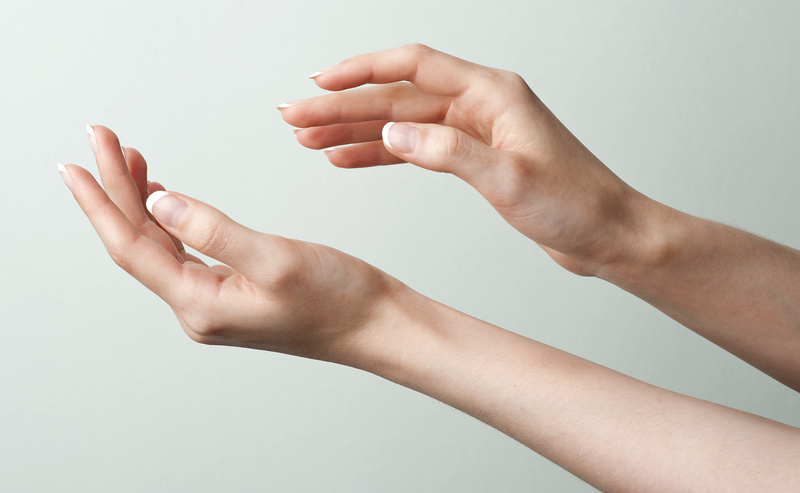 Soak your hands for five minutes to strengthen nails and hydrate skin.